Size: 16 x 18 cms (each sheet). Title: (2 charts) 'Delineatio orarum Peru' and 'Fretum Magellanicum'. 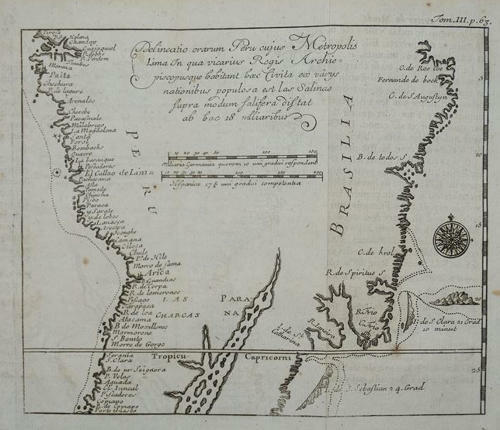 Two very rare sea charts of the coast of South America by Renneville from 'Recueil des voyages qui ont servi à l établissement et aux progres de la Compagnie des Indes Orientales'.. In very good condition with only a few minor age related spots.